Gotham’s Clown Prince of Crime is ready to laugh his way into theaters this fall. In the meantime, Todd Phillips’ stand-alone Joker movie has gotten himself a brand new poster. Phillips shared the poster on his Instagram account announcing that the teaser trailer will debut on Wednesday, April 3. 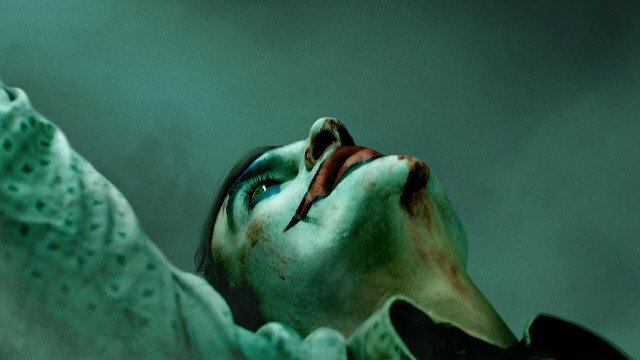 The poster depicts Joaquin Phoenix‘s Joker looking up as a couple of beam of lights seem to focus on him. Additionally, it uses the tagline “Put on a Happy Face.” From everything we’ve seen so far, including some well-placed bloodstains, it looks like this Joker will be the kind who uses clown makeup rather than chemically bleached skin. So far the details about this movie have been few, thus there is great hype for the upcoming teaser trailer. In spite of the fact that the Joker’s real name has never been clarified in the comics, the Joker movie will focus on failed comedian Arthur Fleck’s transformation into Batman’s greatest foe. The story, though, isn’t part of the continuity of the DC Extended Universe. Moreover, the plot is set in 1980s Gotham City. The movie sees Todd Phillips (The Hangover trilogy) behind the camera. Additionally, Joker stars Joaquin Phoenix, Robert De Niro, Zazie Beetz, Frances Conroy, Brett Cullen, Dante Pereira-Olson, Douglas Hodge and Josh Pais. Joker will debut in theaters on October 4. What do you think about the latest Joker poster? Let us know in the comment section below.